Recently I got myself entangled in a facebook debate over the issue of free speech in America. Facebook debates are never fun. It really isn’t the best forum for debating. It’s hard to tell how people are saying things and what type of emotion they have behind their words. Are they truly angry, or are they just kidding around, trying to get at your goad. I’ll admit, I have done this at times. Anyways, I’m not writing this to talk about facebook etiquette, but rather about the things Americans bicker over and how they compare to similar problems in the rest of the world. Recently, a high school valedictorian tore up his preapproved commencement speech and delivered a new one where he recited the Lord’s prayer. Apparently Christian prayers aren’t allowed at that high school. The arguments go as follows. Those approving of this young man’s tactic will say that in the United States, there is freedom of speech and he should be allowed to say whatever he wants. Those opposing will say that there is a separation of church and state, and this young man cannot say anything religious in a public school setting. Who’s to decide who’s right? I’ll leave that up to the courts. Personally, I don’t care how they rule. What drove me into this debate was the question of whether this young man was morally right in doing what he did. He did break the school’s rule after all. Is that Christian of him? This all depends on the approach the young man took. Did he try to submit the speech that he really gave to the school administrator? And if so, was it not approved? If that is the case, then I think what he did was brave and he stands on the side of the apostles who put God’s commands over and above the commands of men. (Acts 5:27-32) Yet, if he didn’t try to submit that speech, then he was being deceptive to the school administrators, subverting their authority. This would not be very Christian of him. I don’t know all the facts, so I can’t say one way or another. Personally, I am fascinated at how upset people get over something like this. I’ve attended many graduation ceremonies and have sat through many speeches where people have spouted out their own ideologies on the crowd. Some I agreed with, some I didn’t. But I didn’t get angry over the ones that I thought were foolish. I just listened politely and moved on. So why is it that when you throw religion into the mix, suddenly, people’s rights are being violated and they are being discriminated against? Why is religion such a hot button issue? Every person has his or her own opinion about God. Let them have their say and you can agree or disagree. How is sharing one’s faith violating anyone’s rights? Thailand is a Buddhist nation. They have freedom of religion, yet they don’t separate religion and the state. There are Buddhist temples and spirit houses on many of the public run universities. There are statues of Buddha in the grade schools, and all the students have to line up and wai (a traditional thai greeting or way of showing respect) to the statue in the morning. I know of a Christian Thai family that can’t afford any of the private Christian schools in Thailand, so their two daughters have to do this everyday or they will get into trouble. I also know that they silently say a prayer to Jesus while they are doing it. These are young girls! (ages 6 and 5) Should they have to deal with this type of religious pressure? Yet, what takes place in Thailand is minor. There are countries that religion and the state are one in the same. Christian converts are given the death sentence. Churches are ransacked by police. Pastors are being thrown into prisons and left to rot. Families are torn apart all because of religious differences. (To find out more, check out The Voice of the Martyrs) So when I see Americans getting really upset about a prayer being said at a public school, I’ve got to wonder if they know what real religious persecution is? These are examples of rights being violated all over the world and they are far more oppressive than having to sit through someone reciting the Lord's prayer. But the new sin in America is offending someone. We can say whatever we want as long as we don’t criticize any other position. The problem with this mentality is that it is so subjective. Who’s to say what is offensive to whom? What if I’m in a room full of people, all of whom have different opinions? How can anyone speak their mind anymore? The Christian religion doesn’t jive with this kind of thinking. Christianity is all about truth claims. These claims are going to offend people. (2 Corinthians 2:14-16) To those who are perishing, Christianity is offensive. I understand this and take that into account when I express my faith to people. Yet I cannot worry about offending people, because my Lord Jesus paid too great a price for me to keep silent. 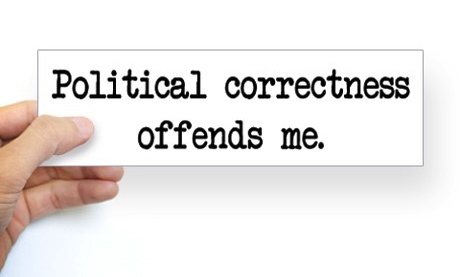 I would rather offend men, than offend God. So law or no law, rule or no rule, offense or no offense, I must share this good news of Jesus Christ. Jesus died for our sins. He was buried. On the third day He rose from the dead. Many have seen the risen Lord and testify to these claims. God’s Word testifies to these claims. (1 Corinthians 15:3-6) My prayer is that God will give you the grace to believe this message. (Ephesians 2:1-10) If this is offensive to you, so be it. I make no apologies for the truth. Hey Cory! Enjoying your blog. I'm not sure why most Christians get upset. Worrying about coming persecution? A feeling that they aren't being treated equally to others? But I will say that the very rule gets me upset because it outlaws honoring God in the school, bringing Him glory, making His name known. Americans have gotten used to this idea being ok, but I doubt God thinks it is ok.
Hi Ryan. Glad you are enjoying the blog. I agree that we should have the freedom to honor God in the school, or really in any aspect of our lives. Whether persecution comes or doesn't, my hope is that the gospel message will be spread. I know at times God has used persecution to spread the good news and other times He has used religious freedom to do the same. The key to remember is that God is in control. Thanks for your comment.